Guided by Tom Dvorak, Viva's Salieri W, a ten-year-old Hanoverian stallion (sired by Viva Voltaire) owned by Augustin Walch and Christine Eppinger, has been nominated by Dressage Canada to the 2011 Pan American Games team. The Canadian Dressage Team is preparing for the Pan American Games, being held in Guadalajara Mexico, October 11 to 21 (dressage runs from October 16–19). The Dressage Canada Selection Committee for the Pan American Games has approved the following nominations for the 2011 Pan American Games taking place in Guadalajara, MEX. A huge congratulations to Jaimie & Fleurina who represented Canada at the 2010 FEI Young Rider World Cup Finals held in Germany. 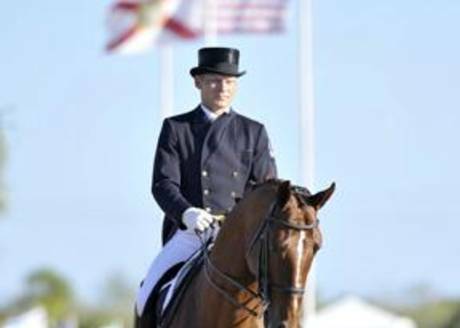 Equine Canada announces the loss of 2011 Dressage Canada Long Listed horse and declared 2011 Pan American Games mount for Tom Dvorak, Key West, an 11-year-old bay Trakehner gelding.